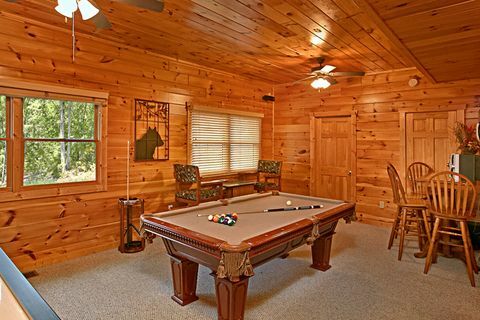 This Starr Crest Resort cabin rental, "Sugar and Spice" provides vacationers a luxury 3 bedroom cabin with resort swimming pool access. 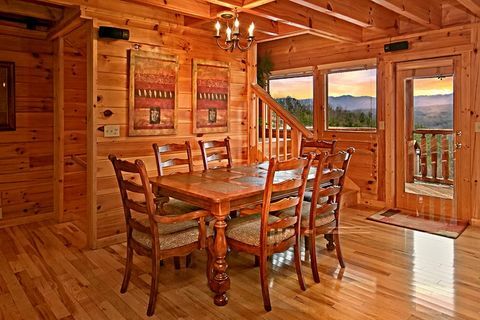 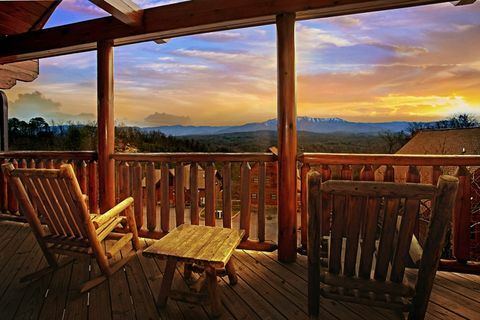 Enjoy watching the Smoky Mountain sunset from one of your 5-star view cabin's 3 porches, which together house several rockers and a relaxing year-round hot tub. 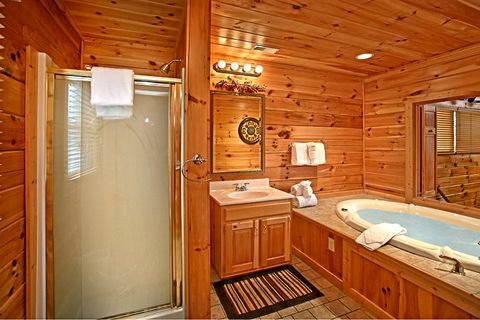 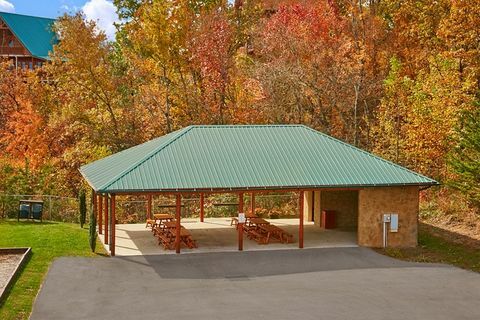 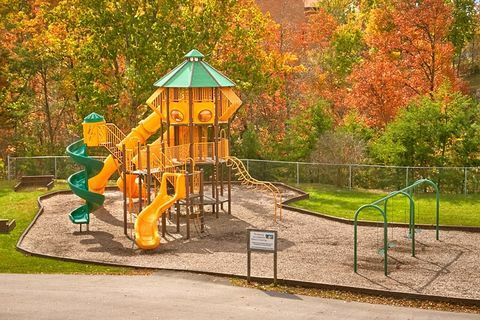 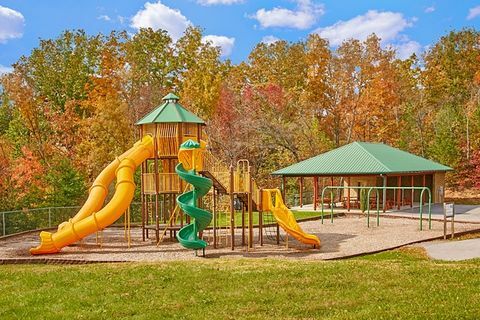 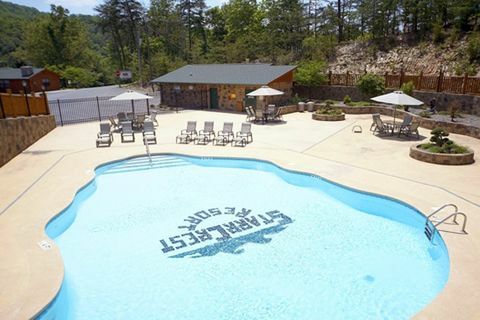 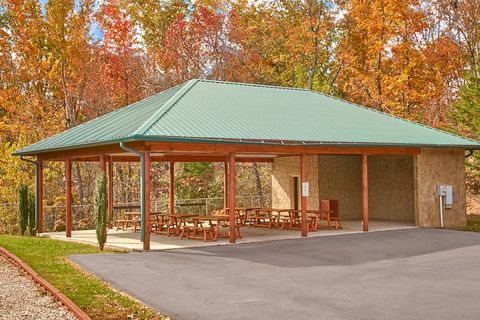 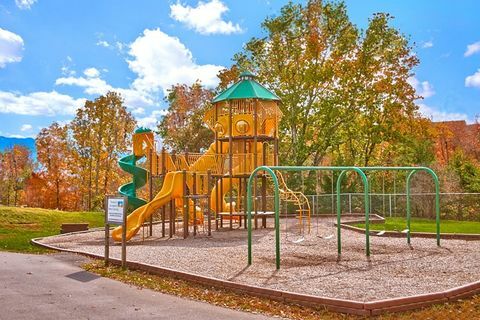 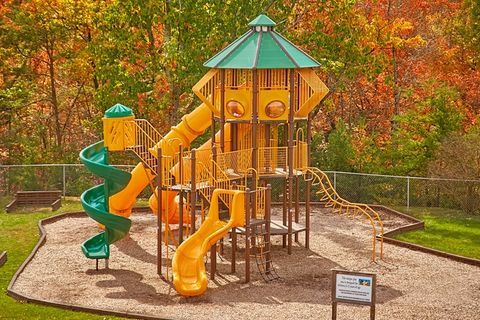 Your Starr Crest Resort cabin rental places guests just minutes from Downtown Pigeon Forge's thrilling Parkway, which offers plenty of shows, attractions, and opportunities to eat at some of the Smoky Mountain area's finest restaurants. 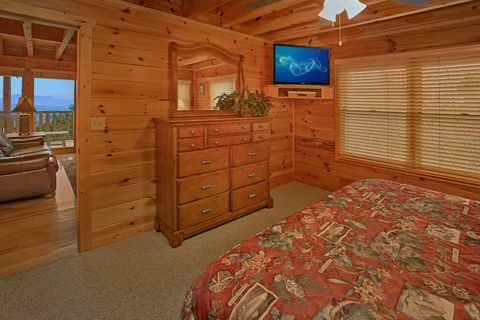 Aside from its location, your 5-star view cabin provides guests with all the cabin amenities for a memorable vacation. 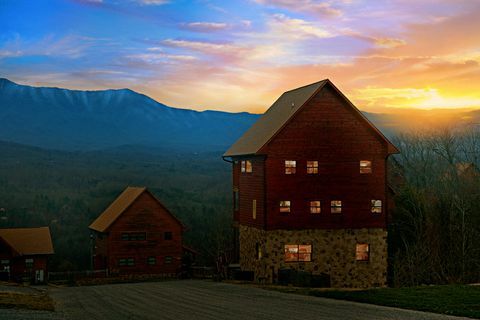 Surrounded by the rolling hills of the Smokies, the sunsets you'll catch from your cabin's deck are simply breathtaking. 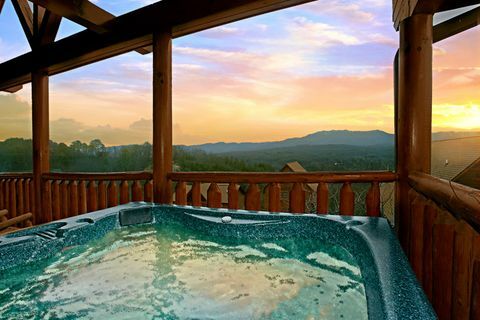 Imagine hosting a family cookout with your charcoal grill, mountains framing the landscape around you, or taking a dip in your cabin's hot tub as twilight paints the hills in a soft light. 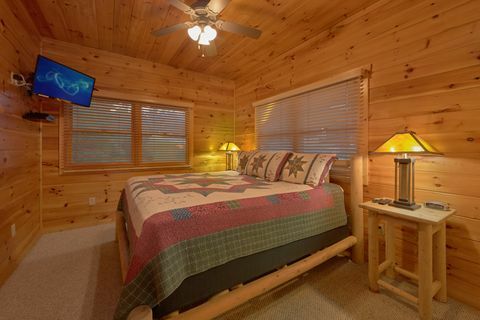 Inside, the cabin's spacious master suite offers a king-size bed, fireplace, a custom designed jacuzzi tub for two, a private balcony, a stylish seating area with television, and a full bath. 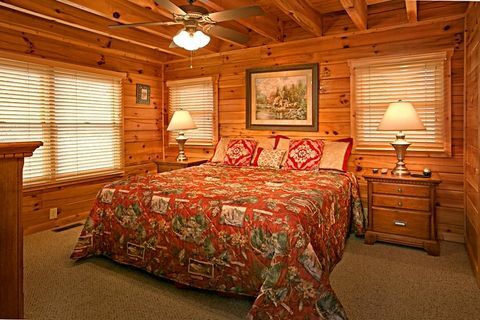 There are an additional 2 bedrooms, which each boast king-size beds, televisions, and full baths. 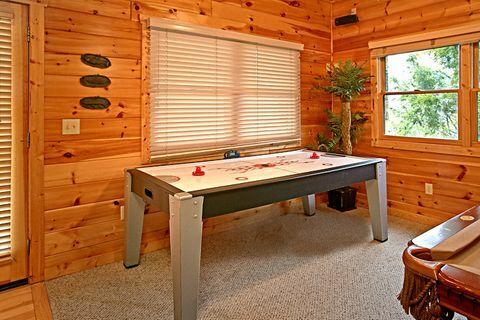 "Sugar and Spice" cabin gives guests plenty of space to entertain with 2 seating areas with televisions and a large game room with pool table, air hockey table, tabletop video arcade game and more! 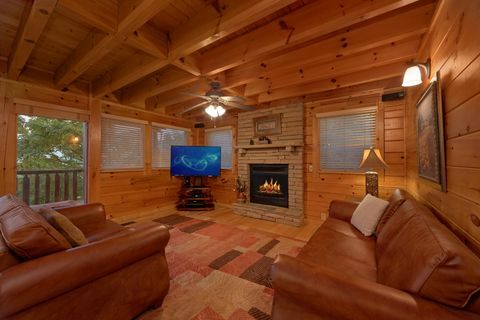 The main level's living area offers a great place for the whole group to gather with its inviting electric fireplace. 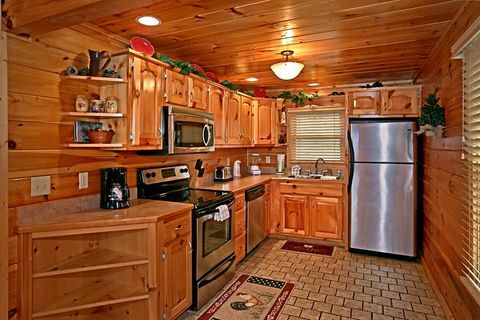 SAVE on vacation costs by cooking meals in the large kitchen with plenty of counter space for the chef to work his magic and enjoy your meals together at the dining table. 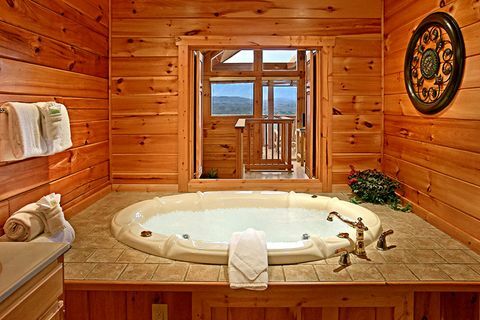 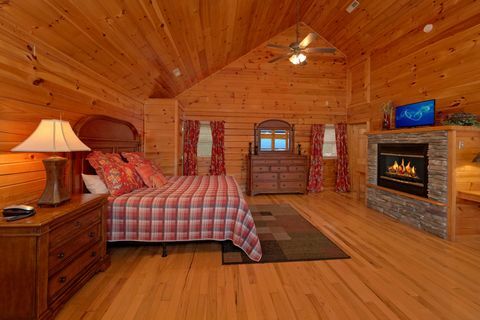 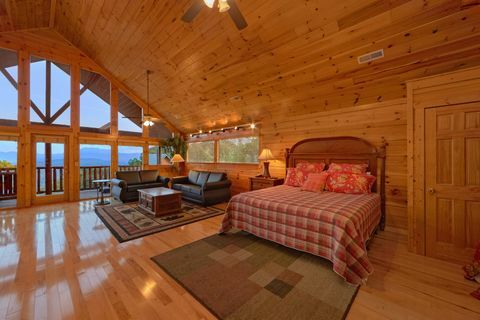 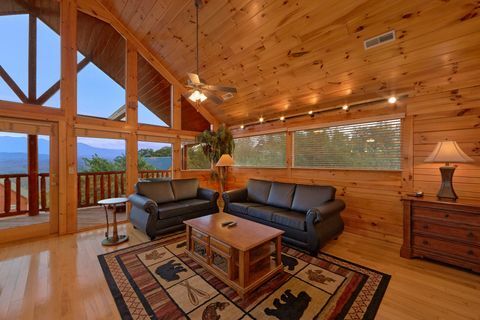 Your Starr Crest Resort cabin rental is sure to set the mark high when it comes to vacationing in the Tennessee Smoky Mountains. 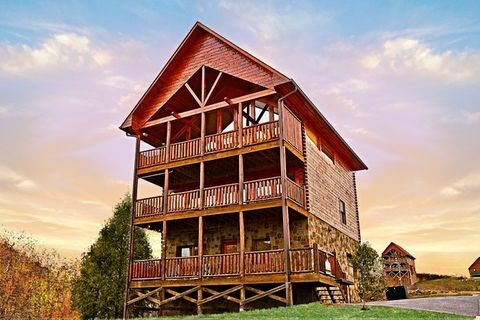 Remember, when you BOOK your 5-star view cabin Sugar and Spice ONLINE with Cabins USA Gatlinburg you get an immediate Online Cabin Rental Discount!